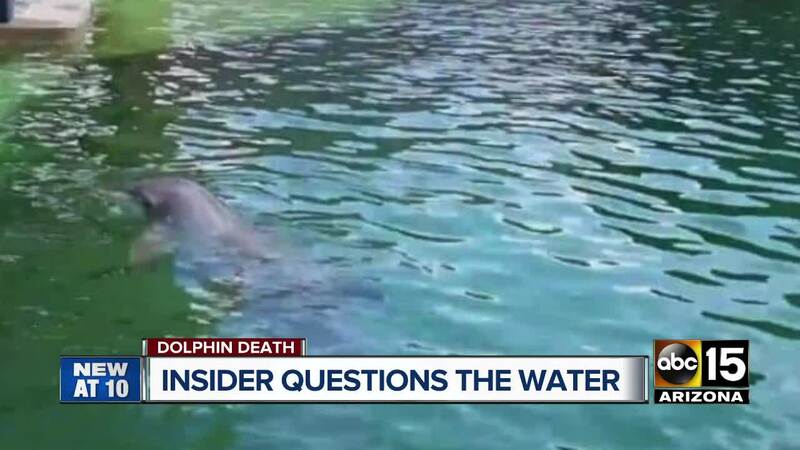 An employee at Dolphinaris spoke to ABC15 about their concerns about the facilities filtration systems following the fourth death of a dolphin in the past two years. 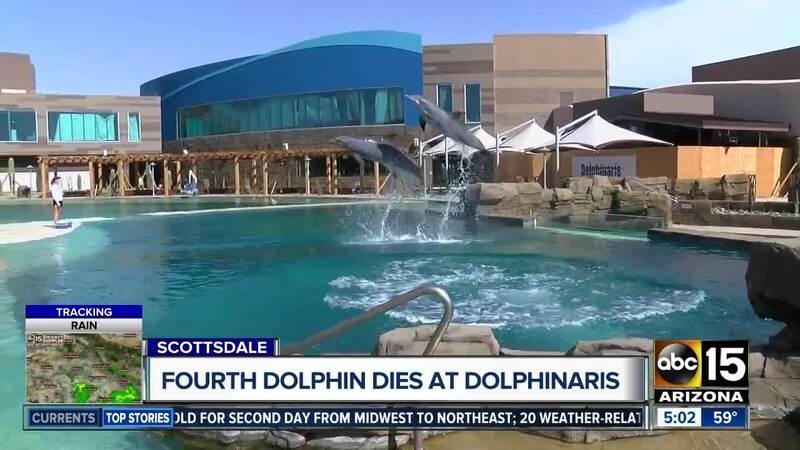 SCOTTSDALE, AZ — A fourth bottlenose dolphin has died at an East Valley attraction in less than two years. 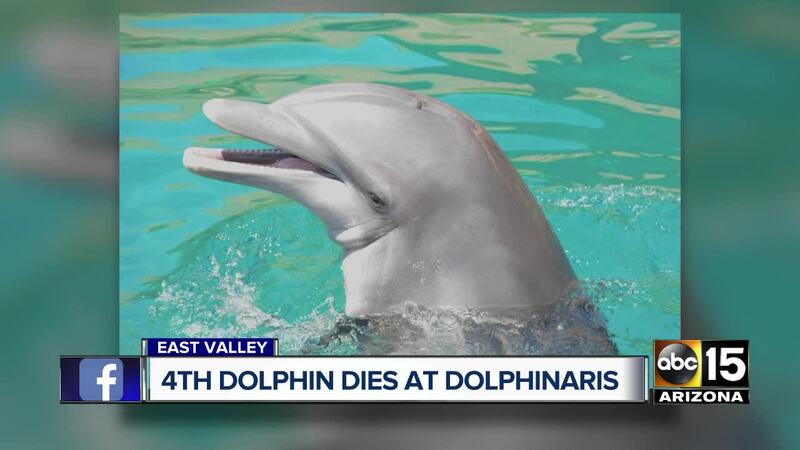 Dolphinaris Arizona, near the Loop 101 and Via de Ventura, announced that 22-year-old Kai was euthanized at 5:40 Thursday morning after his condition deteriorated. 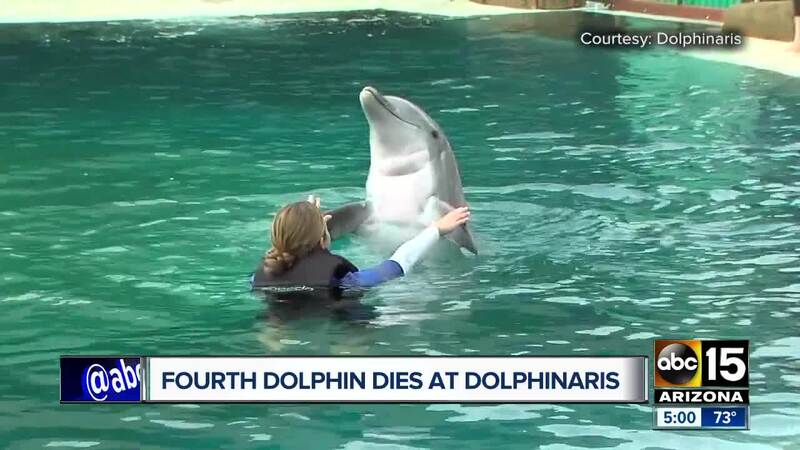 He had been experiencing difficulty swimming, eating, and breathing for about two weeks, Dolphinaris said. On the same day, ABC15 witnessed a plane flying a banner near the Waste Management Phoenix Open that has a direct message to the dolphin attraction: "Dolphinaris: Why are 3 dolphins dead?" The blog post was subsequently deleted, and later replaced with an updated post. On Friday afternoon, a spokesperson for Odysea in the Desert, the entertainment complex that houses Dolphinaris, Butterfly Wonderland and other attractions, said in a statement that it was "very concerned about the well-being of all sea life and takes the recent events at Dolphinaris seriously. We have been contacted by their leadership and await the results of the necropsy." The Talking Stick Resort Entertainment District and the Salt River Pima-Maricopa Indian Community said, through a spokesperson, "we have no comment at this time." A spokesperson for the United States Department of Agriculture's Animal and Plant Health Inspection Service said the agency is working on the next course of action. For information on the USDA's inspection process, click here . For information on what USDA licensees must do to remain compliant on procedures, click here .